Mastering “Google,” if you will, is more than a full-time job. It’s an all-consuming odyssey that no single-point dealership – withal, no small- or medium-sized group – can afford to take. The targets move so often that the true experts in search optimization and search marketing feel forever trapped in an exhausting game of Whac-a-Mole. Just as your store or group cannot afford to build its own computers or DMS, you cannot and should not “chase” expertise in SEO or SEM. The good news is you don’t need an SEO or SEM expert on your team; you just need a BS Detector. 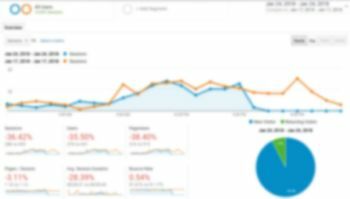 A recurring issue with these services is that both corrupt and honest SEO and SEM companies present you with monthly reports that include lots of professional-looking graphs. On the surface, they’re pretty much equal. Given this, how can you tell the difference? And, more importantly, how can you avoid being taken by what could arguably be the largest theft of dealership marketing dollars we’ve ever experienced? You see, it’s okay that you don’t fully comprehend the impact of these reports as presented. You’re not supposed to. You’re supposed to just nod and smile and continue to write really big checks to these vendors. Next – and this is where it starts to matter – ask them to tell you more. At this point, you’ve gone deeper into the monthly results than any of this vendor’s other clients; and the scammers may start to unwind a bit. Most search vendors, whether honest or corrupt, often cannot explain their product or results in layman’s terms; it’s just not in their DNA. Given this, it’s okay to get them to slow down and reword what they just told you in verbiage anyone can and should understand. If the response is a blank stare, you have your answer. Of course, if the provider is honest and transparent, they should be able to help you understand in plain language how their services (and especially their results) help you and your team sell more cars. If the answers don’t come easily for the vendor – and if the answers still don’t make sense to you – it’s time to find a new search provider. After all, you don’t need search expertise on your team – that’s what the vendor is supposed to bring – you just need a BS Detector.